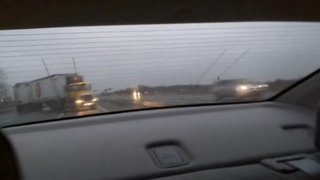 This past Sunday on route 78 in New Brunswick, NJ, a man identified only as MrLegolize (by his YouTube account) recorded a very near miss by a tractor-trailer caused by some black ice. MrLegolize (ok, let's just call him Troy from here on...) was stopped on I-78 as the black ice had caused another tractor trailer to fish tail in front of him, blocking all lanes of traffic. Troy, being the fast thinker he is, whips out his phone to record the odd situation in front of him- but suddenly hears some noise behind him, and it's coming in hot. He remains extremely and surprisingly collected through the video, as his brain was probably recalling all the significant events of his life as it prepared for the end. How much will TDI owners get from Volkswagen?